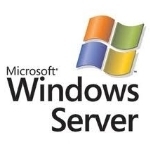 While Microsoft announced the different editions of Windows 8 that will be available today, they also confirmed that Windows Server 8 will now be called “Windows Server 2012″ and have committed to launching it by the end of this year. At Microsofts’ Management Summit, Corporate Vice President Brad Anderson spoke to around 5,000 IT professionals about the opportunities provided by Microsoft to deliver fast and reliable services with cloud computing. He announced Microsoft System Center 2012 which is now available for purchase. It allows users to set up their own secure private cloud network. This excerpt is shared with permission from everything-microsoft.com. Everything Microsoft windows server, windows server 2012. permalink. Bob Rankin: Should I Buy a Netbook, Ultrabook or a Tablet?